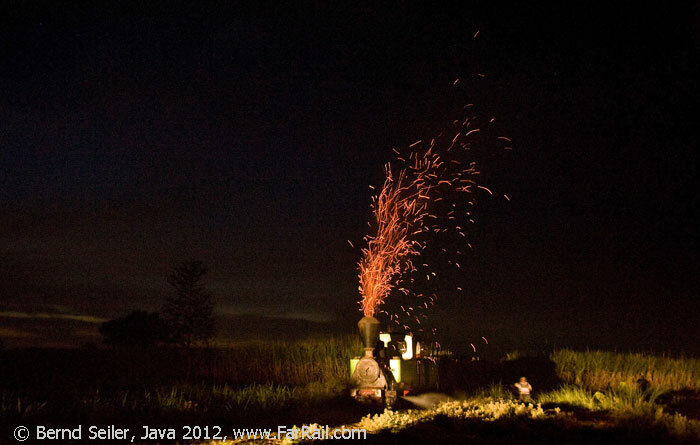 Java used to be a living museum of the first industrialisation. 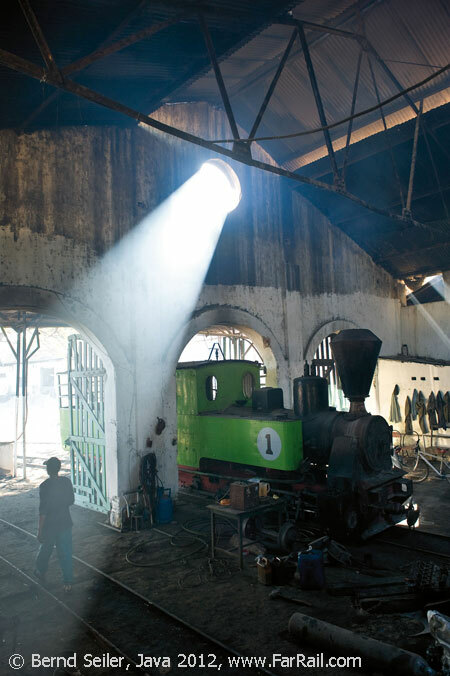 Almost a century old, and a few even older, German, Dutch and Belgian steam locomotives were used in extremely harsh conditions in the sugar mills of Indonesia. 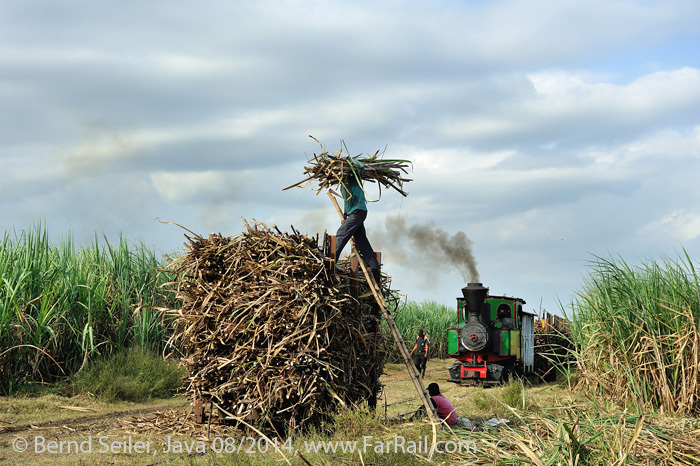 They had to earn their daily Bagasse, water and oil with hard work at the head of overloaded cane trains  until 2014. 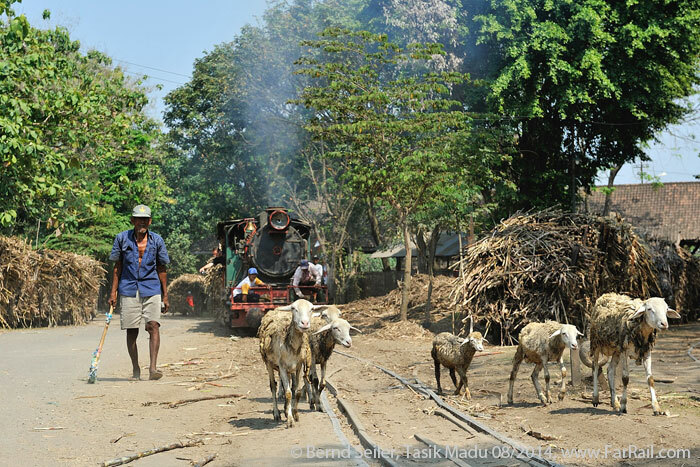 In 2015 most of the sugar mills of Java ceased their steam operation, including even the mills being considered for saving, like Panka and Sragi. As we know from many previous trips, it’s always possible to charter steam locos for one or two years after the mills have dumped them. Later they’ll either fall apart, rust away or parts will be stolen by the employees to sell them to the local scrap dealers. 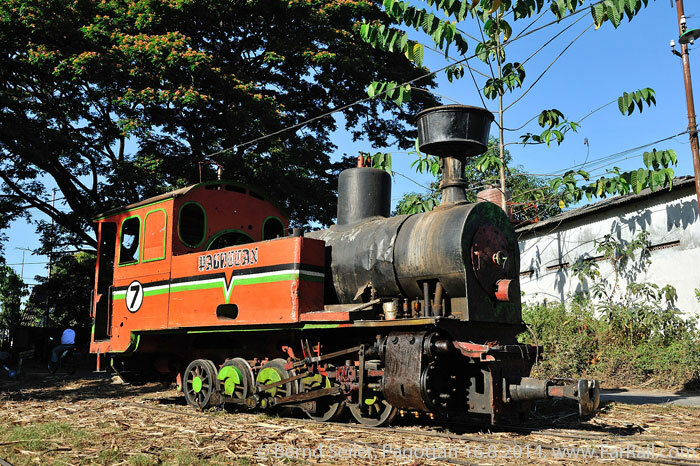 It is very difficult to export such locomotives because they are considered to be national historic monuments. However, the mills don’t care and scrap them. Scrapping them is permitted, saving their life abroad is not. After the sharp decline of steam in 2015, we expect 2016 to be the very last chance to see them in steam. So this is the tour after the “scraping the barrel” tour of 2014. 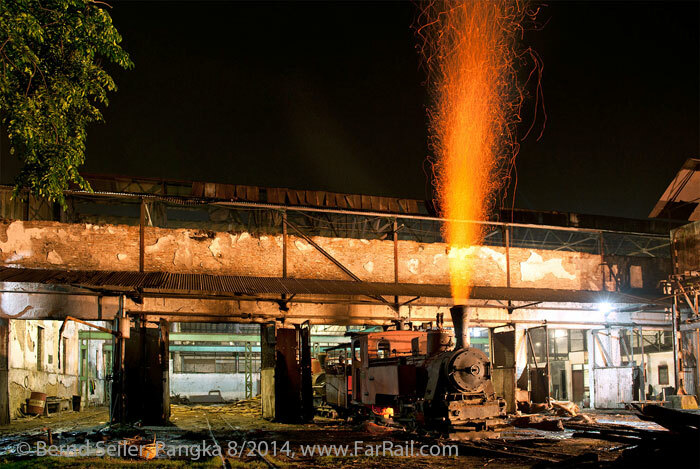 We will try to steam a locomotive at every possible place and use it on all the remaining tracks. 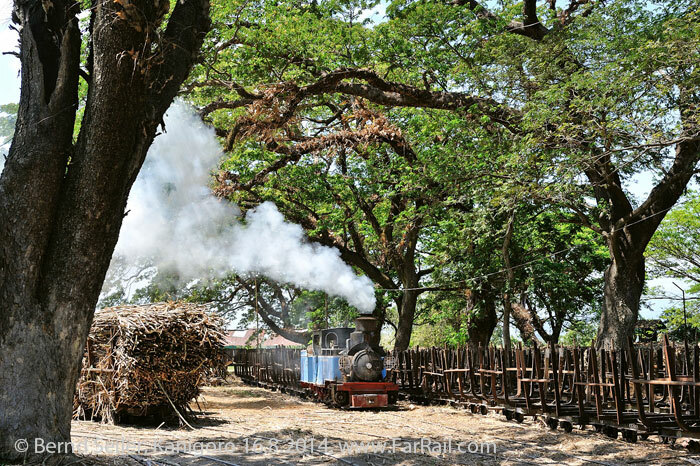 A focus of the tour is laid on the two field operations which will allow us to recreate the time as it was when steam was ruling the sugar cane fields and trucks were almost unknown. 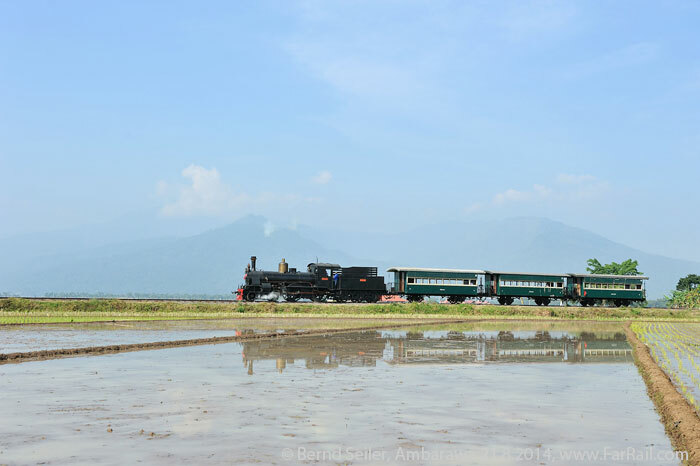 The cane trains we’ll charter will look fully authentic. Despite the declining fleet of steam locos there are still a good number of stationary steam engines employed inside the mills. Feel the even beat of the ancient stationary steam engines inside the mills, some of which have been working for more than 120 years. Experience their vibration, their warm breath while driving giant flywheels and moving cane crushers, vacuum machines and ancient machinery in the mills. In addition, we’re offering three steam charters on the Cape gauge. 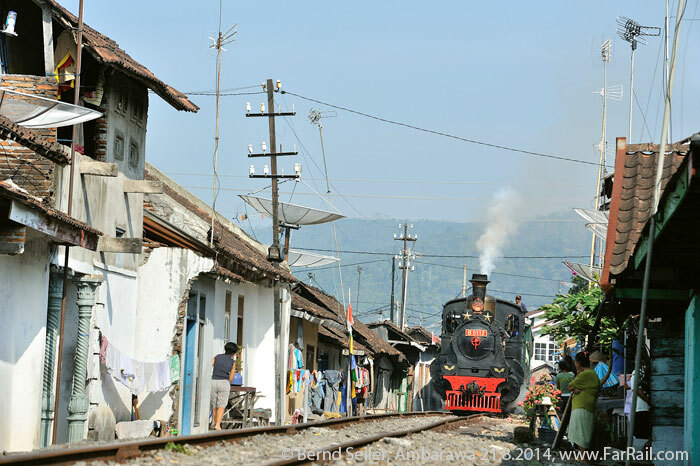 We’ll see steam trains with different state railway locomotives and the forestry line in Cepu. In total we’re aiming for 18 locomotives in steam, four of them fireless. The count might become 20, only after the tour can we be certain. Our visit to Mount Bromo will give us the chance to enjoy a fantastic view over two active volcanoes, including the highest one on Java, Mount Semeru. If we’re lucky, the latter spits ash clouds high into the sky at infrequent intervals. 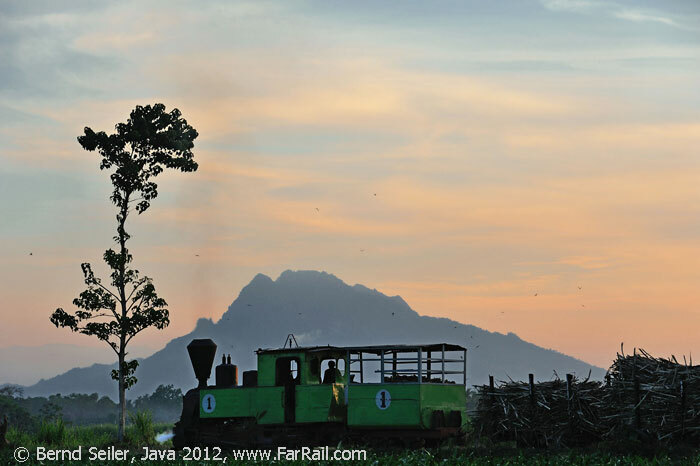 We can see Mount Semeru from a sugar railway line too, possibly forming a spectacular backdrop for one of our pictures. Mount Bromo last erupted in 2011 and seeing it active is a very rare, unlikely sight. Time is working against the few remaining steam locomotives, the stationary steam engines in the mills and the light railways in general. That’s why we’ve put almost everything possible into this tour, before it’s definitely too late. But we cannot guarantee that everything will work to plan. These days, alternatives are rare and often require a long overland bus journey. The cape gauge locomotives are unique and have no replacement. In the case that something isn’t possible, it is most likely that we won’t get any refund from the local railway. There is no special perils insurance which would cover this risk. In the last days of steam we must just live with the risk. The only guarantee we can give is that we’ll do everything to make things work as we want them to. It’s possible to book only parts of the tour. A transfer to the next airport is possible from all our locations. Many of our hotels offer a swimming pool. Morning visit to Pagottan with regular working fireless locos and later in the morning Kanigoro with the third regular working steam loco of the tour. Afternoon long transfer to Jember (ca. 375 km, some 9 hours) Hotel Bintang Mulia in Jember. Either return flight home or morning visit to Mount Bromo, one of the best accessible and most scenic volcanoes of Java. Afternoon transfer to the Bandara Hotel near the airport of Surabaya. Indonesia has changed rapidly over the last decade. Quite a lot of the sugar mills  in former times well protected from the international market  have had to give up or try to be more cost efficient. This is the reason why some of the sugar mills have closed and why others have converted from railway to road transport. Although the government introduced new taxes to protect the domestic sugar industry and save labour for the workers in the mills, many mills have changed their system of bringing in the cane. Given that the farmers around the mills are free to decide which kind of crop to grow, the system of field lines to the sugar cane fields has had to be abandoned. At many places, it’s more profitable to plant other crops than cane. So it was necessary for the factories to switch to road transport anyway, to reach sugar cane fields far away from the mill. Because new lines to the fields will not be constructed anymore, truck haulage was and is the only way for a mill to survive. Despite all the losses over recent years, you can still see the largest variety of steam locomotives in the world. Only a few in daily use during the harvest season of course, but we’ll charter some of the most interesting ones at other mills. However, not every listed mill might be able to show us a loco in steam. This is the risk when you’re travelling in search of steam at the end of the age of steam-driven industries. There is no compensation possible  even not in parts  if we don’t find what we’re looking for. On our previous tours, we’ve always been lucky to get the pictures we wanted. Please check the recent trip reports for additional information. 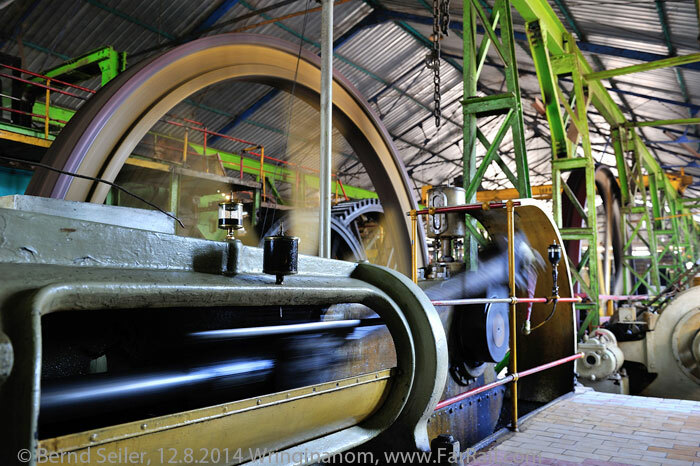 We will probably experience a Mallet locomotive as well as Luttermöller or Klein-Lindner axle locos. While Orenstein & Koppel seem to be omnipresent on the island, other producers, mostly non-existent any more, are still part of the last narrow gauge steam show: Decauville, Schwartzkopff, Maffei, Jung, Ducroo & Brauns, Hartmann and others. 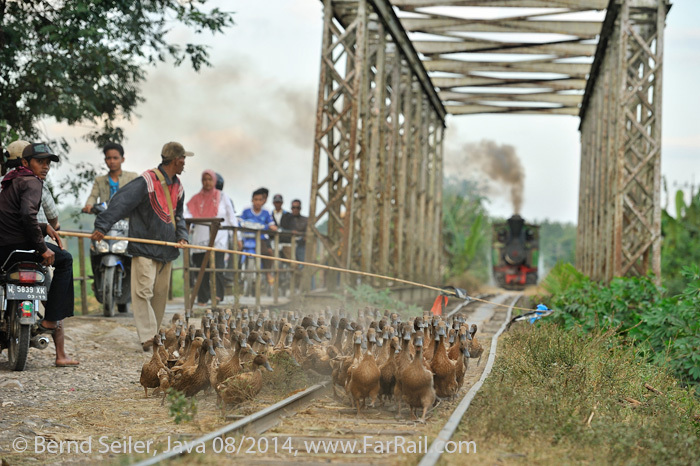 The word “delay” is almost unknown in Indonesia. A loco will be in steam, a train will start once it is ready. The railwayman will barely understand that we want the train running in daylight but not at noon. Our route may differ from the above itinerary in order to get as many good pictures of trains as possible. On the way, side trips to historical or other places of interest are possible, if not even planned in the itinerary. If agreed, the group may separate and meet together later. Probably we will travel by two charter buses. If you prefer a maximum of flexibility you can also travel in a chartered jeep. However, our bus has the advantage of a cool box to keep beverages chilled. We will choose our hotels by their distance from the next mill, not only according to the standard on offer. All our hotels have air conditioning (exception: Mount Bromo, where temperatures can drop below 5°C (40°F) in the morning) and a private bath room, many offer a pool as well. European style toilets are not common in Indonesia. The chosen hotels will all have a European style toilet but in small restaurants on the way or at railway stations for example, you should expect Asian style lavatories. On many days, we’ll get up early (around 6.00 am) and may even leave without breakfast occasionally. The best time for photography is the early morning between quarter to seven and nine and the late afternoon between three and sunset around 17.45 hrs. The time in between is, because of the high sun, not rewarding for photography, even the dedicated video film maker wouldn’t be happy with the results during the noon time. The electrical system is compatible with the European (230V/50Hz), but you need an adapter for the outlets sometimes. Short trousers are a no-no because we’re travelling in an Islamic country far away from spots where the usual tourist has no clue of the local culture and is not even interested in it. Short trousers are ok at the poolside of our hotels but not in the streets of cities and definitely not in the villages and sugar mills. In addition, you should avoid colourful clothes or highly visible colours because we’re on a tour for photographers and video film makers. If you, co-incidentally, get in the picture of others, it’s important that you’re not wearing clothes with intense colours. Please understand that in a country like Indonesia not everything will work as planned and/or paid for. The Indonesian (better to say the Asian) way to repair things with the help of primitive tools is amazing and will help us to fix some of the technical problems which may occur. However, you never can be sure that the most important switch of the yard isn’t blocked by a derailed train or the mill hasn’t run out of fuel a day before our arrival and so on. The whole traffic could be stopped by such a problem. In such a case, we’ll try to head for another mill. Sometimes it might be impossible to get pictures and the only thing you can do is to relax and drink a cup of tea or a beer. We haven’t planned to go to sugar mills with dumped locos only. The tour is planned with the dedicated photographer and video filmmaker in mind. The itinerary is designed for those who think it more important to get the perfect shot in the morning sun than a substantial breakfast (which is hard to get anyhow). Meals are not included in the tour price. In addition, meals are a matter of time. Sometimes it might be necessary to postpone a meal or even cancel it. In such cases we’ll have some cookies or bananas. Meals are cheap with the exception of beer and other alcoholic drinks (a bottle of beer costs about £1.70). You should calculate on around three to twelve Pounds Sterling each day for food (an Indonesian dish is often less than a Pound while a pepper steak costs a mere three Pounds Sterling). Please remember that we are guests in a mainly Islamic country where alcoholic drinks (including beer) are not available everywhere. Chilled beer is another matter … but we have our cool box on board the bus. Now as we need to pay for the once free of charge day to day operation it’s hard to keep the price of the tour affordable. 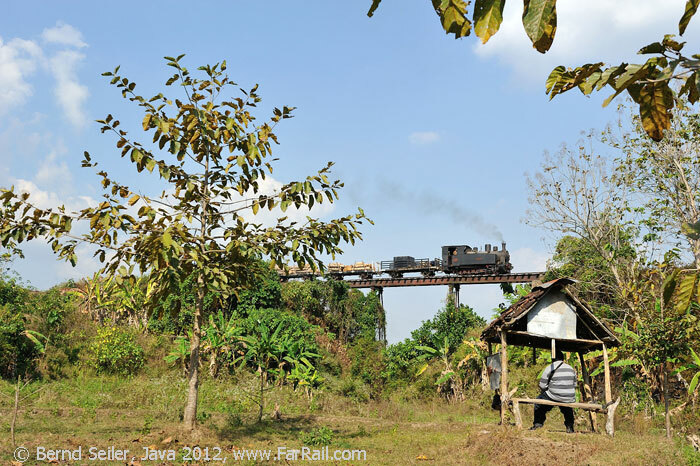 To avoid too steep prices, we’ll share the most expensive charter trains with a small group of Japanese enthusiasts in the central part of Java. In the east we’ll have the trains to ourselves. Here we need to travel on the freight trains which would make it difficult for a larger group. Charter vehicles and trains represent the standard of our host countries, which may deviate from European expectations. While we will try to avoid long walks, some photo positions may require a bit of an extra effort. Travelling on trains, buses and driving cars is at your own risk. 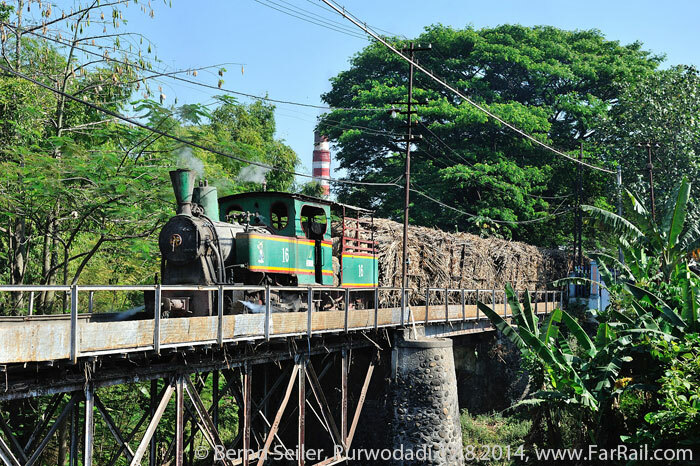 The charter trains of the sugar mills will look like real trains did some years ago. So we will not attach coaches to these trains. Please remember that the exhaust of the steam locos contains sparks which may harm your clothes or skin. On main trunk roads the traffic may be very fast and dangerous while on minor roads we might be the only motorised car amongst ox carts (without any kind of illumination during the night, of course). There is no insurance for the cars available, so we have to pay for dents ourselves. Please consider this if you’re driving. The one and only rule of the traffic seems to be not to touch any other traffic. We need to cover long ways by road, sometimes we’ll be several hours on the road. The countryside is not always scenic, some roads lead through densely populated areas which are not very interesting. Hence taking a good book along is a good idea. Please bear in mind that accommodation and transportation in Indonesia falls short of EU/US/Australian etc. safety standards. Always use common sense when crossing roads and railway tracks. Neither the local tour operator nor FarRail Tours can be held responsible and will not accept any liability whatsoever in the case of any accident, damage, delay etc. We suggest you take out a comprehensive overseas accident and health insurance policy.